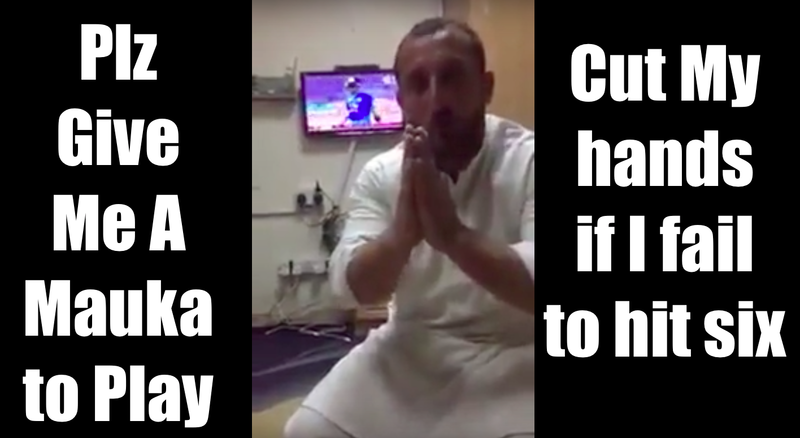 Mauka Mauka: Upset Cricket Fan Seek a Chance (MAUKA) to Play against India: "Cut my hands if I fail to hit SIXERS"
Pakistan cricket fan seek a mauka to let him play against India and cut his hand if he fails to hit sixers. A Dubai-based cricket fan who is die hard fan of Pakistan Cricket Team has requested Pakistan Wazir E Azam Nawaz Sharif to give this fan a chance to pay against India, he will hit sixers without wearing helmet and gloves, he also promises to cut his hand if he fails to do so. Watch the funny mauka video.